FORT WORTH, TEXAS—Republican attorneys general suing to overturn the Affordable Care Act will adopt a common Democratic position Wednesday in their oral arguments for the case: Obamacare's coverage protections can't be adequately enforced without an individual mandate compelling healthy people into the individual market's risk pool. They are using the Supreme Court's 2012 ruling upholding the ACA as a tax law as the basis for their argument: With the tax penalty zeroed out as part of last year's tax reform, the entire law should be vacated. Democratic attorneys general who have stepped in to defend the law in lieu of the Justice Department have assumed an equally unfamiliar position. 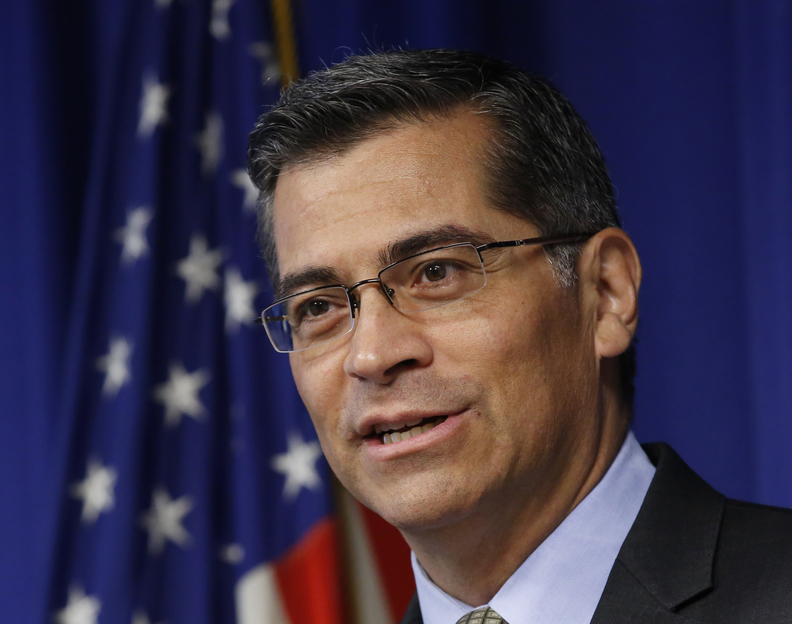 California's Xavier Becerra, who is spearheading the defense, has argued that the actual financial penalty isn't necessarily essential and the statutory mandate on individuals to buy minimum insurance coverage still exists and as such can continue to underpin the ACA. The two sides in, Texas vs Azar, will make their cases before U.S. District Judge Reed O'Connor, a conservative appointed by President George W. Bush. "The question comes when a court, not Congress, validates the mandate," Wisconsin Solicitor General Misha Tseytlin told Modern Healthcare ahead of the oral arguments. Tseytlin is working with the plaintiffs on the case led by Texas Attorney General Ken Paxton. "The Obama administration said there's a position that the individual mandate is essential to the community rating and guaranteed issue provisions. The Obama administration said you don't have to do any other analysis, just look at that statutory language. That is the key point for the courts." The ACA provision in question reads that "if there were no requirement [to buy health insurance], many individuals would wait to purchase health insurance until they needed care. By significantly increasing health insurance coverage, the requirement, together with other provisions of this Act, will minimize this adverse selection and broaden the health insurance risk pool to include healthy individuals, which will lower health insurance premiums." The provision goes on to state that the mandate requirement is "essential to creating effective health insurance markets in which improved health insurance products that are guaranteed issue and do not include coverage of pre-existing conditions can be sold." However, Yale law professor Abbe Gluck said plaintiffs can't use congressional intent to support their case when Congress has clearly maintained the pre-existing conditions coverage protections and other key provisions. A key GOP lawmaker, Senate Health, Education, Labor and Pensions Committee Chair Lamar Alexander (R-Tenn.), has articulated the same argument and dismissed the lawsuit's merits. Democratic attorneys general will follow a few different lines of attack, which Becerra outlined for reporters last week. If the court decides that the individual mandate needs an accompanying financial penalty, he said, the burden should fall to Congress to restore the fine. "If they believe in the need to cure the tax receipts that are gone as a result of GOP action to pass the tax bill, under the coverage provisions, then what the court can do is tell Congress it can't remove the provision in the tax bill—remove the provision that zeroed out," Becerra said. "It would be up to Congress to take action." The Democratic attorneys general will also argue that axing the law will irreparably harm the 132 million Americans with pre-existing conditions, the 13 million people who rely on Medicaid expansion for coverage and the seniors who would face more out-of-pocket drug spending should the ACA provision to shrink Medicare's so-called donut hole go away. In its amicus brief filed earlier this summer, America's Health Insurance Plans focused on the irreparable harm argument as well. Insurers hold a key financial stake in the individual market, but an even bigger stake in the law's provisions on Medicare and Medicaid. An insurance attorney with ties to the case said for insurers the sweeping impact of a reversal of the entire law would deal a hefty blow to insurers of Medicaid, Medicare and all the aspects of the healthcare industry touched by the ACA. He added it would be "kind of insane" in terms of the implication for the insured and insurers if the court sided with the Republican states and allowed them to put an end to Obamacare. The federal government's position, however, has made insurers nervous because the DOJ is not asking for a complete overturn of all the provisions but, rather, a reversal of the popular consumer protection mandates. In a brief filed in June, the Trump DOJ adopted the Obama administration's argument that the individual mandate can't be severed from those protections, but that the rest of the law could stand. After a quiet summer, the lawsuit in the past two weeks has put the healthcare industry and analysts on alert. The liberal-leaning Urban Institute ran an economic analysis last week estimating that more than 17 million people would lose coverage through the individual market or Medicaid expansion if the courts strike down the law. This would mean a 50% increase in the number of people currently uninsured in the U.S, according to Urban's analysts Linda Blumberg and Sherry Glied.